We all are extremely involved in planning our future. We are incessantly on the go. In this process, we barely save any time for ourselves. We neglect our personal care, health situations, check whether or not our food intake is proceeding properly, are we getting an ample amount of sleep, are we exercising daily, and so on. We pay the least regard for our health until we realize that we have run out of time. Minor joint pains, headaches, troublesome breathing, such as problems are normally overlooked by us. In my opinion, our health should never take a backseat. It is unquestionably essential to invest in ourselves and get regular health check-ups done. This way we can diagnose the problem in time and stay a level ahead of any health problem. We radically enhance our chances of living a long healthy life. Most of us believe not every pain or a headache means something serious but some recurring signs might mean that everything is not okay. These are mere hints which indicate that our body needs consideration and is whining for help. Sleep is a sign of good health. If you are not sleeping well, no doubt you are compromising with your health big time. Continuous feeling of exhaustion, wanting to sleep a few more hours, lack of energy, extreme fatigue lacks attention. Such like matters should not be neglected. Going for a health check-up would be a better prospect to know the correct standing of our health. Problems with weight and your appetite is one major affair. Strangely when one cannot correlate it to any recent illnesses. Unexplained weight issues and unexpected changes in the appetite are matters to be taken into serious consideration. In case these issues happen, it is a smart idea to get yourself checked now. Many people presume that normal means having one bowel movement every day. It is not true. Bodies are different, so are their bowels. Just like bowel, passing urine is one of the primary aspects of your health. Pain, distress or any burning linked to urination and some regular bowel problems like constipation, loose motions, bloating causing uneasiness are a sign that it is time to visit a doctor for a precautionary medical check-up. Skin and Eyes are two very separate organs of the human system but both are equally important. Difficulties concerning skin or the eye proves to be worrying for any individual as both these organs require consistent care and nourishment. Visual disorders, alterations in your vision, redness of the eye or the skin, itching, pain and patches, clots and bumps on the skin or the eye mean you need a good check-up. CFH is an acronym for Cold, Cough, and Headache. All of us go by these every now and then but constant head pains are not a normal sign. Regular joint spasms and stiffness is not a small thing. They can be due to the various bone and muscle problems and can point towards severe long-term obstacles if not taken sincerely. Rather than neglecting, it is best to pay full attention. It’s high time we start handling our bodies with honour and make frequent health check-ups a part of the program. 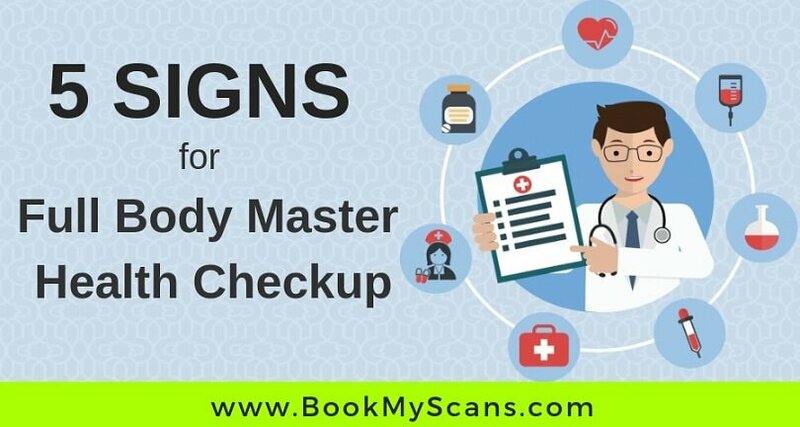 A full body check-up usually includes mandatory tests to identify and evaluate the risk of general medical illnesses. 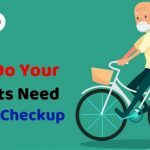 Do not let your everyday cycle and habits ruin your health and expose you to the uncertainty of experiencing any chronic, non-curable diseases. Health is the most valuable asset a human owns.